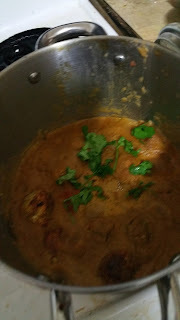 Yesterday I felt like eating Malai Kofta and I knew I had paneer and potato at home, so I went to whole 9 yards and made Malai Kofta with garlic naan. Mix together with red chilly powder, garam masla, pinch of salt and some turmeric, I added some besan and then made small balls of it. I took the paniyaram vessel and shallow fried them. For the gravy I took oil in a vessel, added cashews, onion, sautéed till brown and added tomatoes, mixed well for about 10 mins. Once cooled then grinded it, took the mixture in a vessel, added salt, red chilly powder, coriander powder and the koftas. For the naan, I tool 50% maida and wheat flour, made a douch with hot water, milk and oil, added some chopped garlic to this. 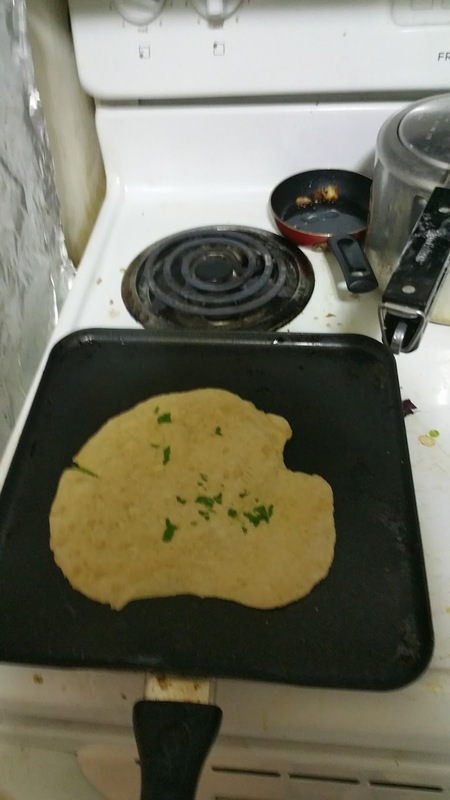 Heated a tava on high flame and made the naan. Seema you are an high energy mom. Outdoor and indoor sports, parties, trips and cooking and all these with 2 little kids. hats off to you.